Please, don't hesitate to contact us for any inquiry or question, by email to mch@mchminerals.com or through the Contact Section. Note: Photos taken using white artificial light lamps and videos taked under daylight. AL01- Fluorite. Diana Maria mine, Rogerley Quarry, Frosterley, Durham, England, UK. Highly fluorescent Fluorite specimen from the world famous Rogerley quarry. It is a very colorful group of transparent crystals of Fluorite with glossy colors. The Fluorite cubes change their color in different lights, they show a strong blue color in natural light and a green one in artificial light. The sample has been photographed both in artificial light (green color) and in sunlight (blue color). Also very fluorescent under UV. 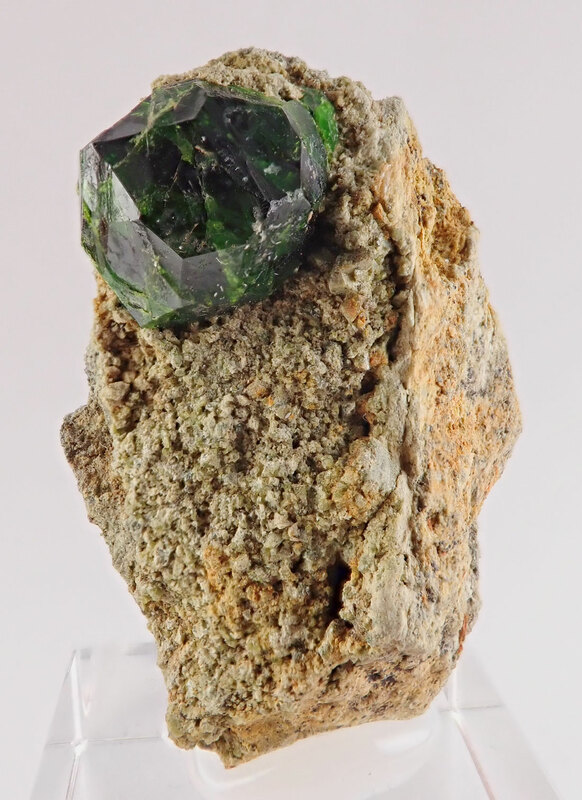 Excellent Fluorite specimen with gemmy crystals in very good condition. Watch video. Group of transparent crystals of Fluorite with glossy colors and partially coated by a thin layer of white Aragonite. Lots of penetration twins on this fine specimen. The Fluorite cubes change their color in different lights, they show a blue color in natural light and a green one in artificial light. The sample has been photographed both in artificial light (green color) and in sunlight (blue color). Also very fluorescent under UV. Great Fluorite specimen with gemmy crystals in excellent condition. Watch video. 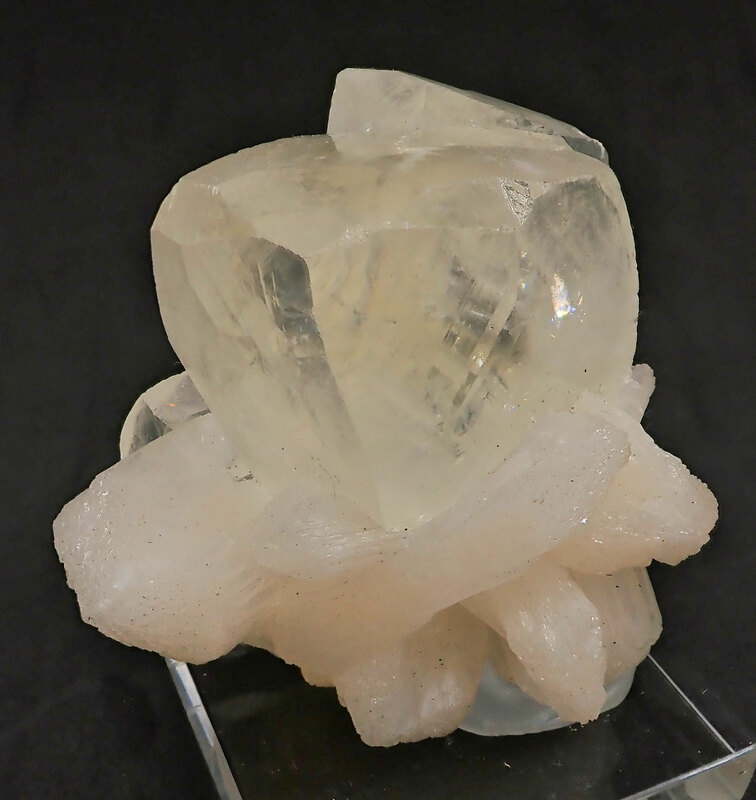 Group of transparent crystals of Fluorite showing penetration twins. The Fluorite cubes change their color in different lights, they show a blue color in natural light and a green one in artificial light. The sample has been photographed both in artificial light (green color) and in sunlight (blue color). Also very fluorescent under UV. Very nice Rogerley Fluorite, minor damage. Watch video. A main and large colorful twinned crystal of Fluorite with other smaller Fluorite twins. The Fluorite crystals change the color depending on the type of light. They show a vivid blue color in sunlight and a deep green color in artificial light. The specimen has been photographed using both types of lights. The crystals are also very fluorescent under UV. Very nice Rogerley Fluorite in excellent condition, no damage. Watch video. 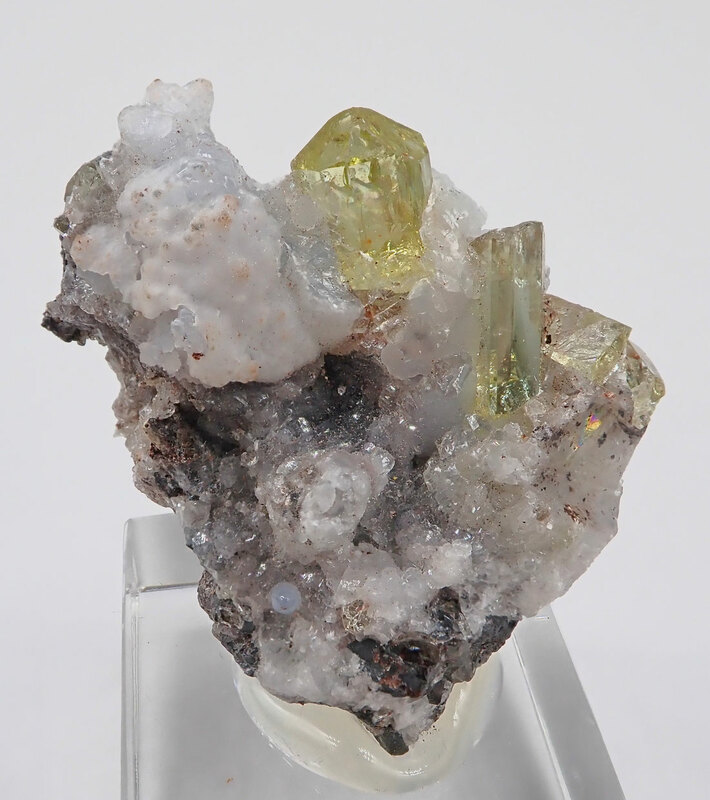 AL05- Aquamarine, Schorl Tourmaline and Siderite. Erongo Mountains, Karibib, Erongo, Namibia. Well formed Aquamarine crystal with very good transparency, nice color and with lustrous faces. Accompanied by well defined and terminated crystals of black Tourmaline, variety Schorl, and a cluster of crystals of Siderite. Very nice and not usual association. 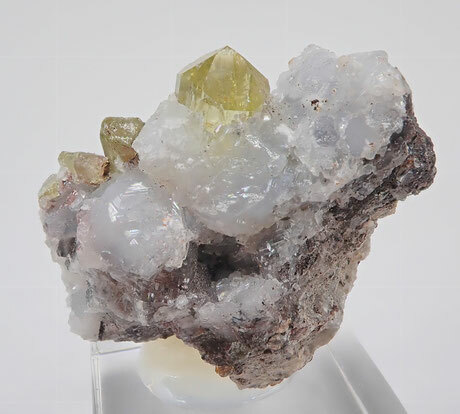 Mineral specimen in excellent condition. No damage. Watch video. 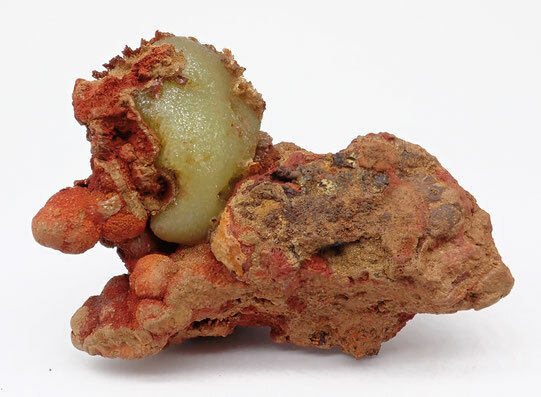 AL06- Vanadinite. Mibladen mining district, Mibladen, Midelt, Morocco. 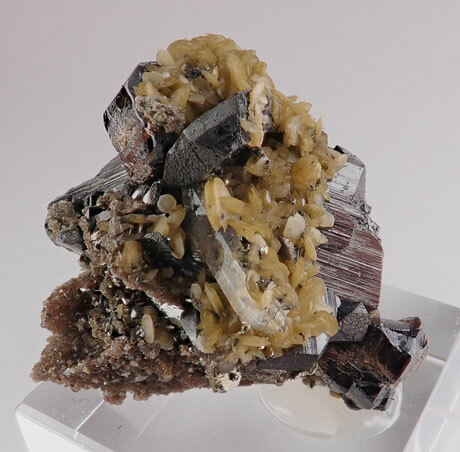 Group of short prismatic crystals of Vanadinite with very well defined faces and edges. The crystals are very sharp and have a vivid blood red color and high brilliance. On matrix of sandstone. Specimen in perfect condition. 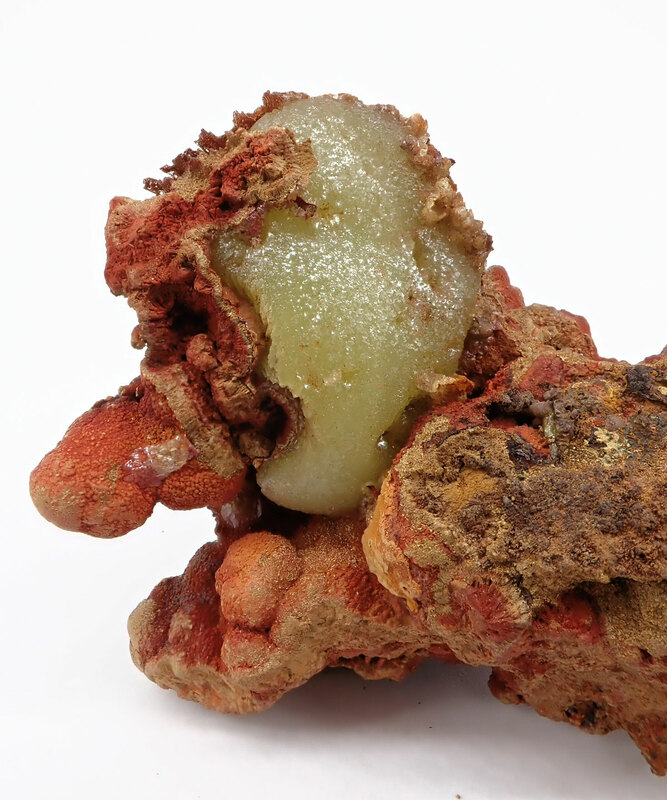 This one is an excellent sample from the world famous mines in Morocco. Watch the video. AL07- Vanadinite. Mibladen mining area, Mibladen, Midelt, Morocco. Vanadinite specimen composed of many lustrous crystals with an intense red color and bright and disposed on a matrix of Sandstone. The piece is in excellent condition without any noticiable damage to report. Watch video. 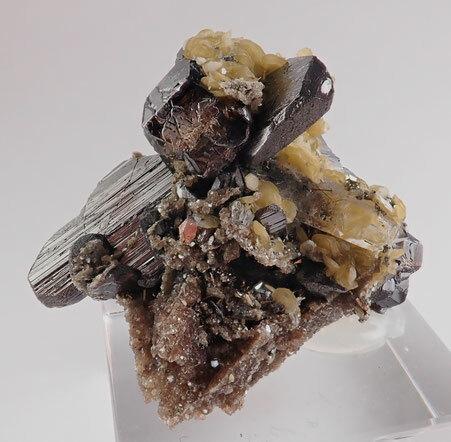 AL08- Ferberite, Cassiterite, Quartz, Siderite. Panasqueira mines, Aldeia de São Francisco de Assis, Covilha, Portugal. Combination specimen from the Panasqueira mines in Portugal. 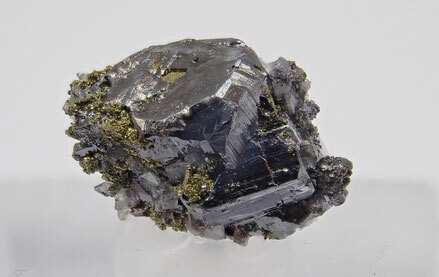 A biterminated Ferberite crystal accompanied by well formed lustrous crystals of Cassiterite and with small lenticular crystals of Siderite and Quartz. In very good condition. Fine Panasqueira specimen. Watch video. AL09- Fluorapatite with Quartz and Siderite. Panasqueira mines, Aldeia de São Francisco de Assis, Covilha, Portugal. Group of very well defined crystals of Fluorapatite, one of them clearly dominant. 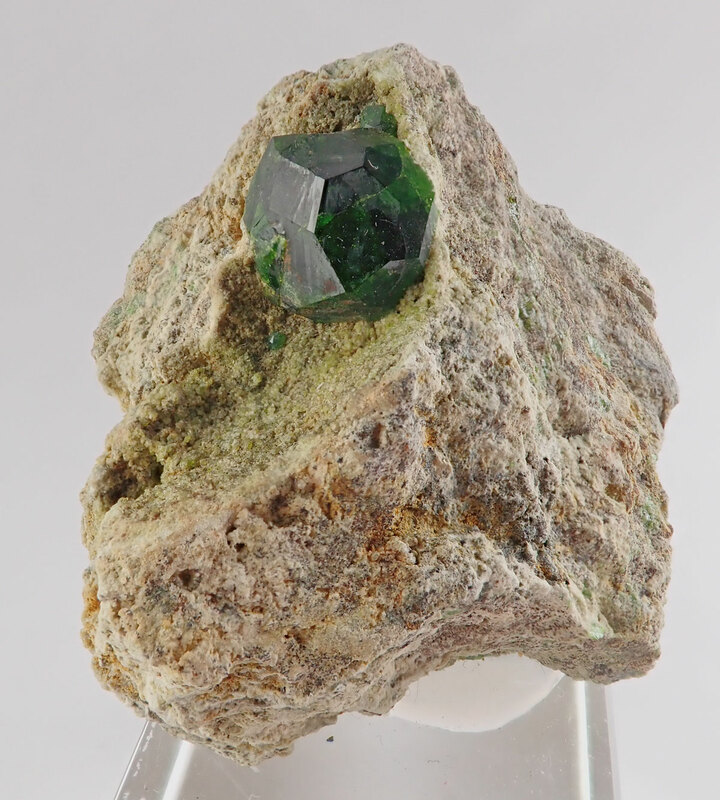 The crystals have a high brilliance, a vivid green color and show a nice color zoning in annular lines, showing different steps of green color. 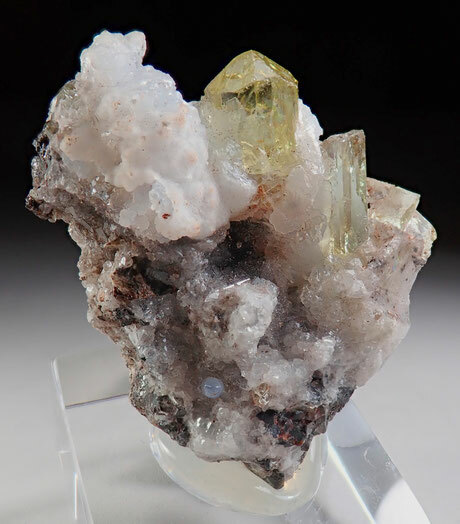 With Quartz and Siderite crystals. Great Panasqueira Fluorapatite in excellent condition, without significant damage to report. It can be viewed from different sides. Watch video. AL10- Fluorite. Frunthorn, Lake Zervreila, Vals Valley, Grisons, Switzerland. A nice translucent complex crystal of pink-red Fluorite coming from the Swiss Alps. With an intense color and good brilliance. In very good condition as seen. 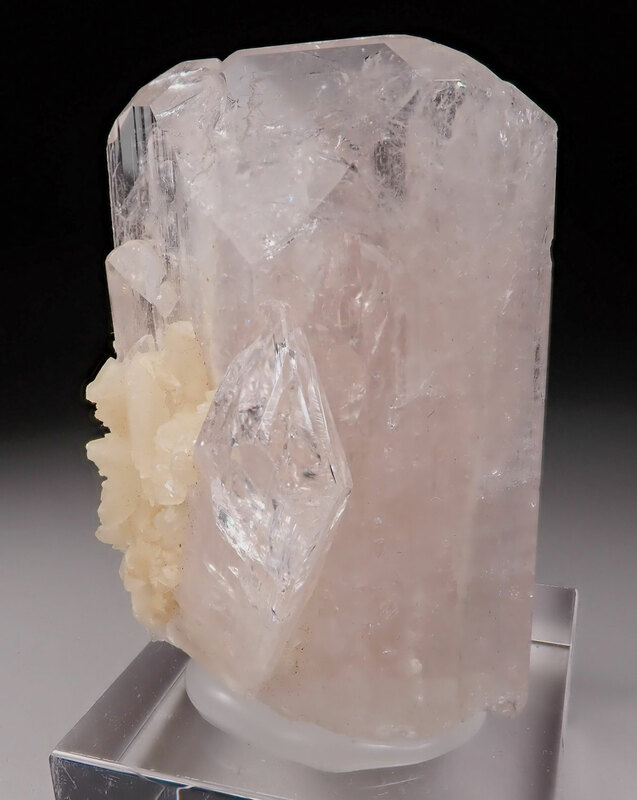 The backside is contacted where the crystal was attached to the mother rock. A fine Alpine Fluorite. Watch video. AL11- Andradite var. 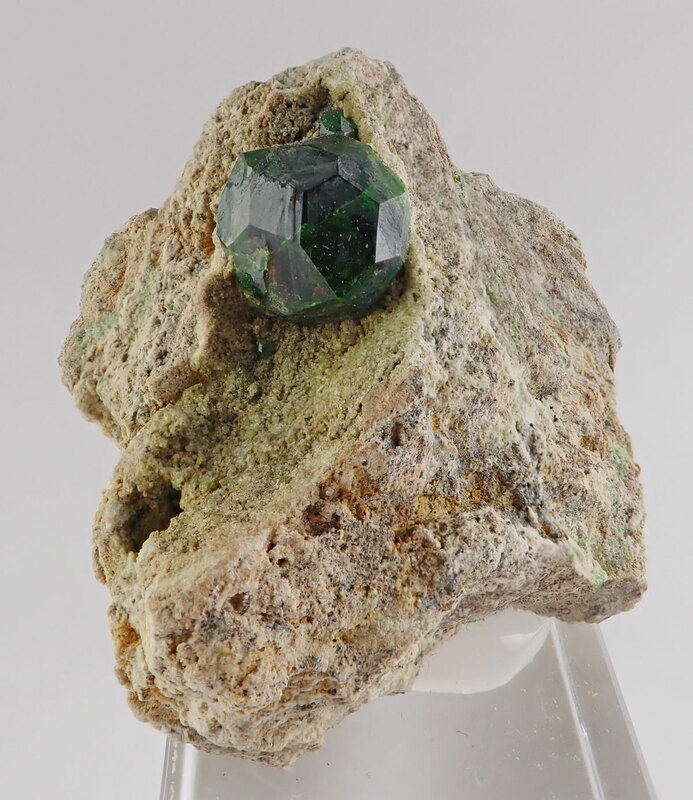 Demantoid. Belqeys Mountains, Takab, West Azerbaijan. 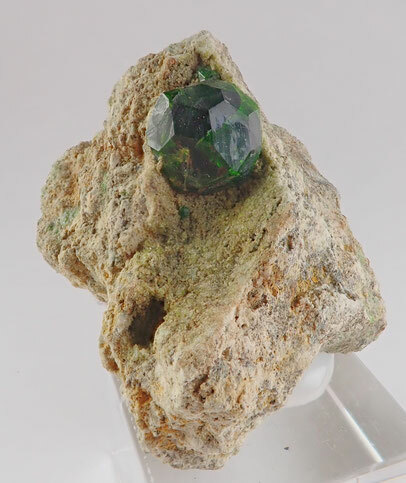 Andradite, variety Demantoid, garnet crystal on matriz with very well defined faces and edges and showing the trapezohedron and dodecahedron form. Very nice forest-green color, high brilliance and great aesthetic. In excellent condition, no damage. Watch video. AL12- Andradite var. Demantoid. Belqeys Mountains, Takab, West Azerbaijan. 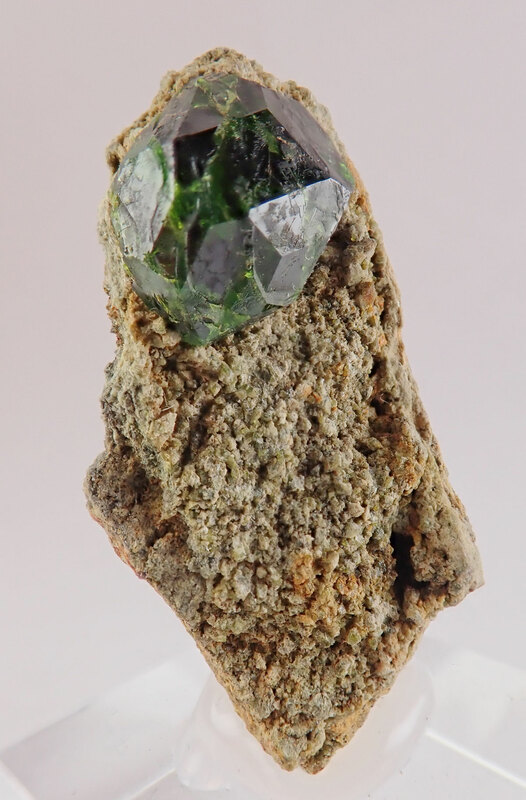 Andradite, variety Demantoid, garnet crystal with very well defined faces and edges and showing the trapezohedral and dodecahedron forms. Very nice forest-green color, high brilliance and great aesthetic. In excellent condition, no damage. Watch video. 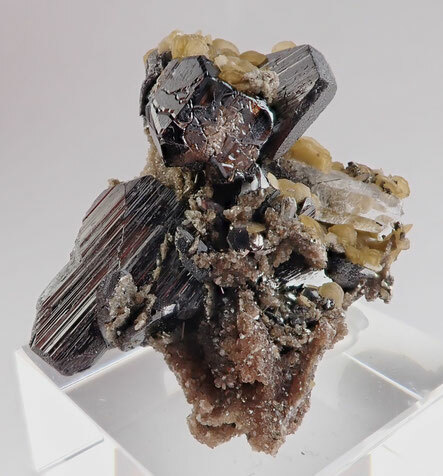 AL13- Pyrargyrite. 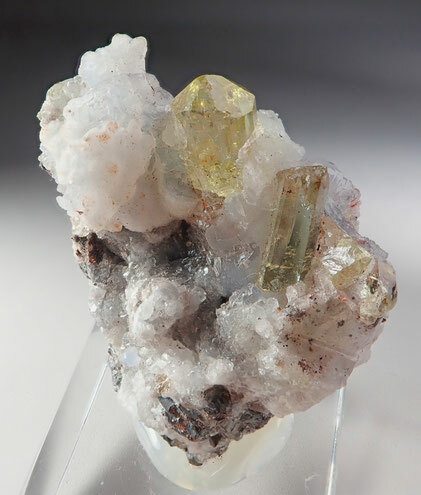 Proaño mine, Fresnillo, Zacatecas, Mexico. Aggregate of Pyrargyrite crystals with a prismatic shape that are very bright and with reddish reflections. In very good condition. From an old find at this important locality. Watch video. 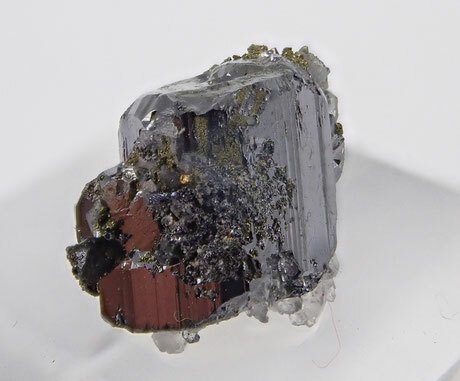 AL14- Pyrargyrite. Proaño mine, Fresnillo, Zacatecas, Mexico. 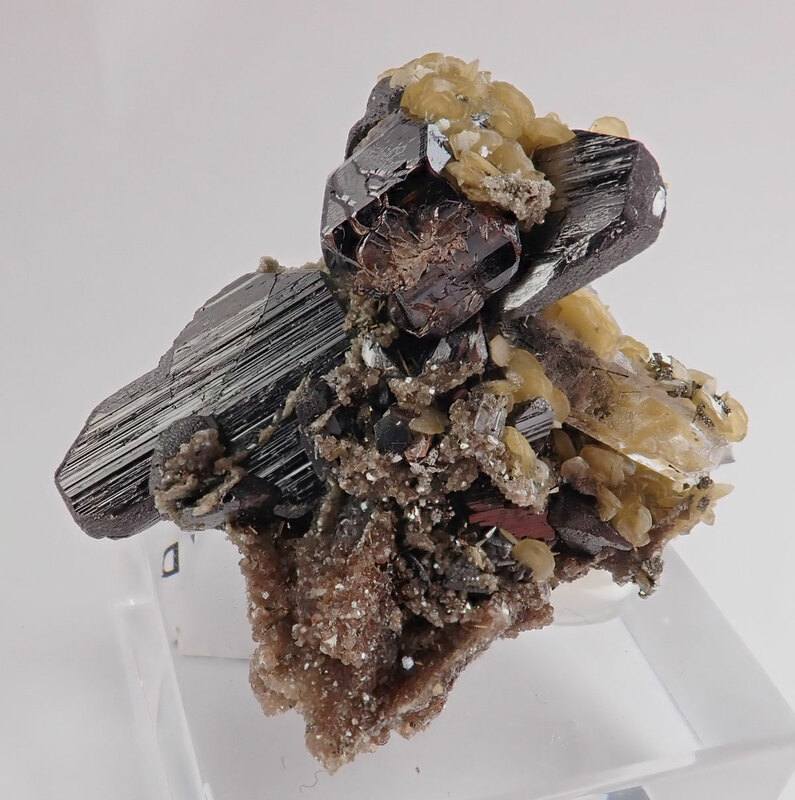 Aggregate of Pyrargyrite crystals showing a complex growth. The crystals are very bright, with a metallic luster, and with reddish reflections. In very good condition. From an old find at this important locality. Watch video. 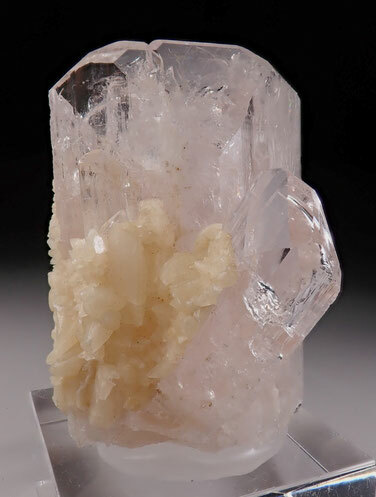 AL15- Danburite with Calcite. Charcas, San Luis de Potosí, Mexico. 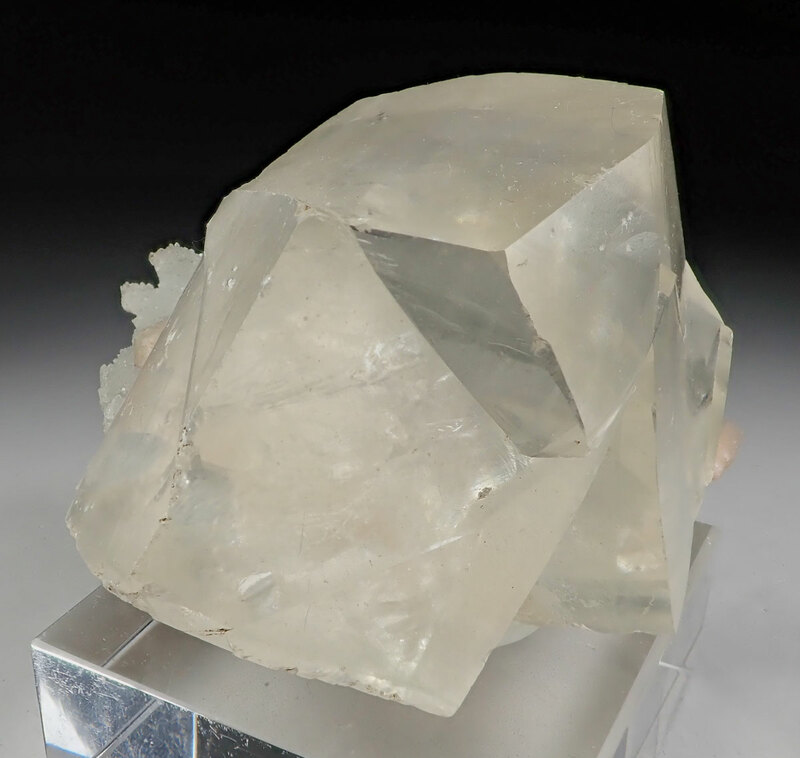 Two prismatic crystals of Danburite, one of them clearly dominant, with very sharp faces and edges and clear terminations. 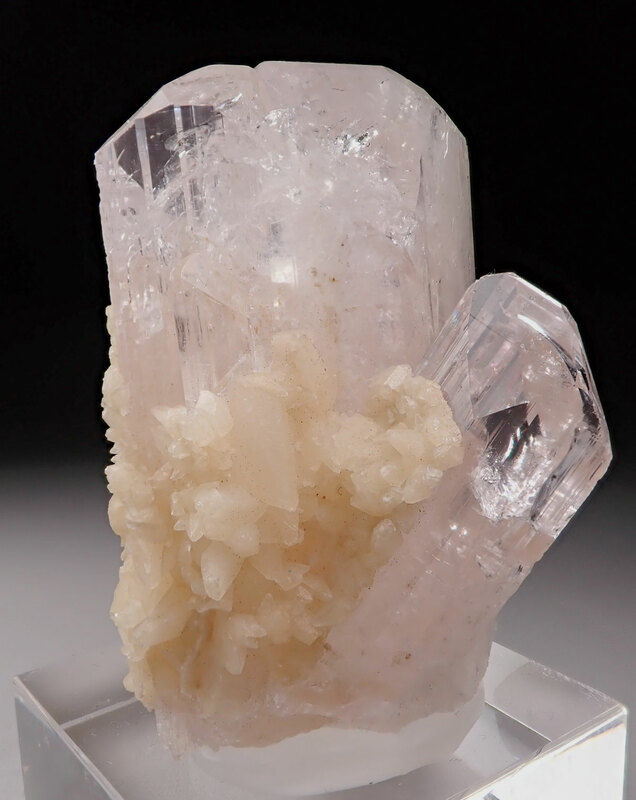 Transparent and lustrous crystals which show pinkish hues. 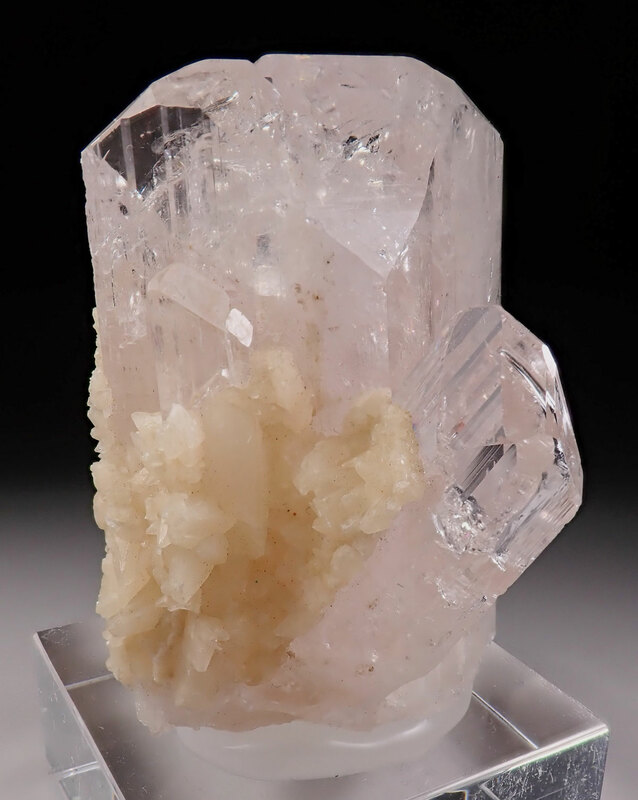 The back of the larger crystal is partially coated by small crystals of Calcite. Nice specimen in excellent condition. Watch video. AL16- Stephanite. Proaño mine, Fresnillo, Zacatecas, Mexico. Sharp metallic-lustrous crystal of Stephanite with a very good size for the specie. With a small amount of Pyrite. 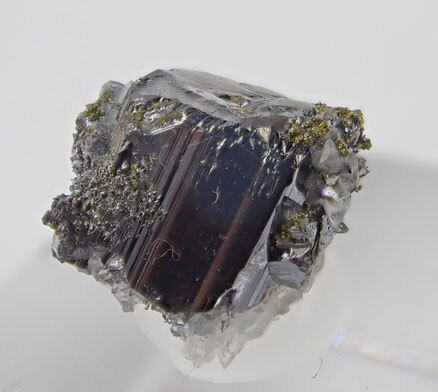 The Stephanite is a silver antimony sulfosalt, it is composed of 68% silver. 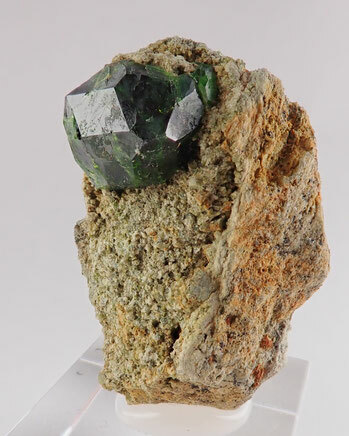 A great Stephanite crystal from Mexico in perfect condition. Watch the video. AL18- Zircon. Seiland Island, Alta, Finnmark, Norway. A very nice old classic mineral specimen. It is composed of a lustrous biterminated crystal of Zircon with very well defined faces and edges and formed by a prism and two pyramides. It is disposed on a matrix of shiny Biotite. From an old find in Norway. 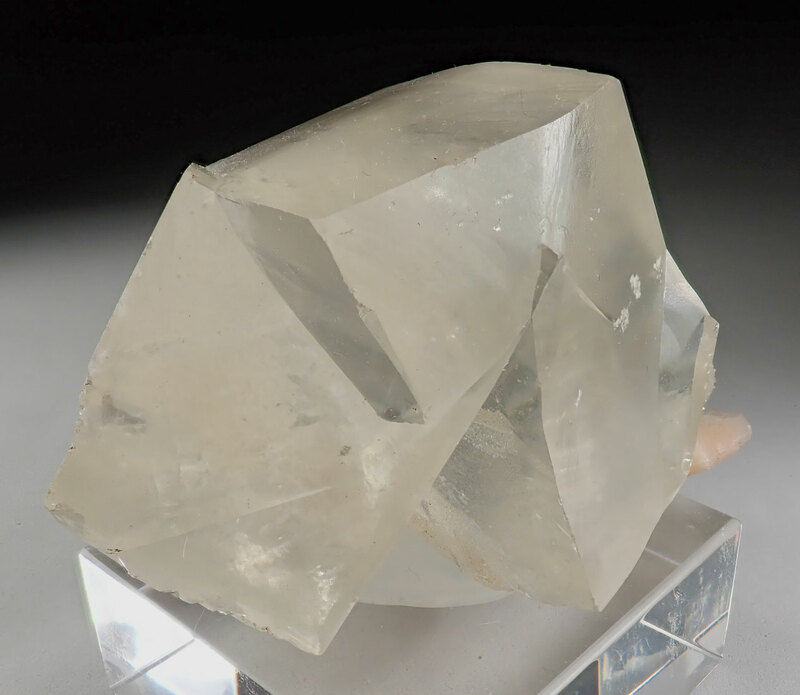 Seiland Island is well-known for the high quality Zircon specimens and this one is an excellent one that upholds the tradition of the quality. In excellent condition. Watch video. AL19- Cerussite. 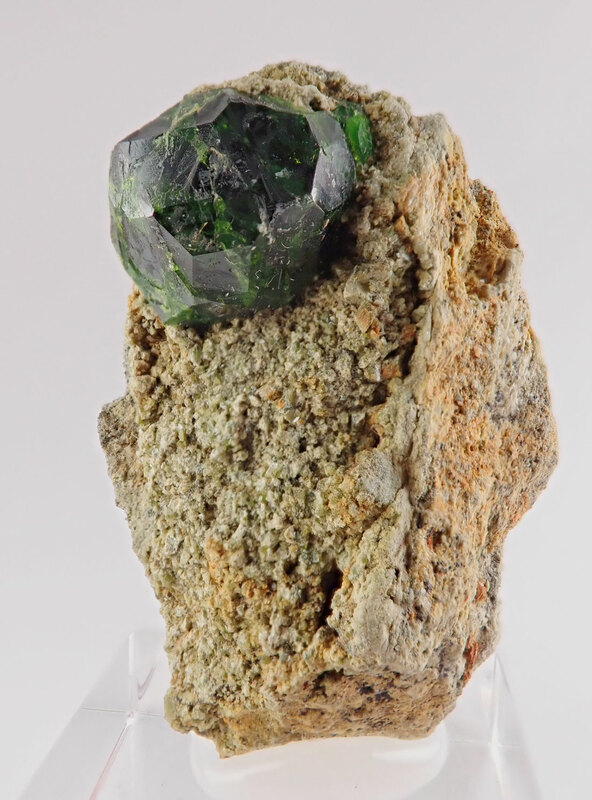 Ojuela mine, Mapimí, Durango, Mexico. 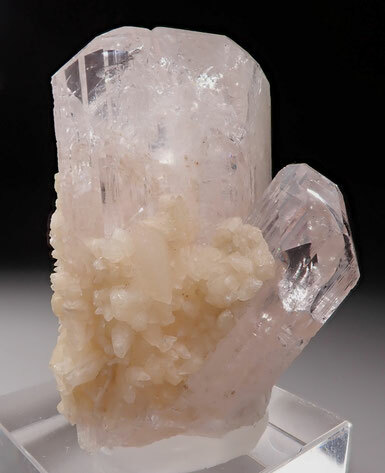 Cluster of sharp smokey Cerussite crystals on matrix coming from the Ojuela mine. The Cerussite specimens are very difficult to find in this mine. 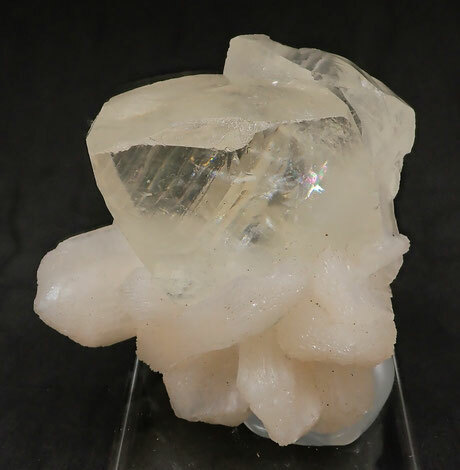 The crystals are very defined with very well formed faces and edges. It is in very good condition. A nice specimen. Watch video. AL20- Austinite. 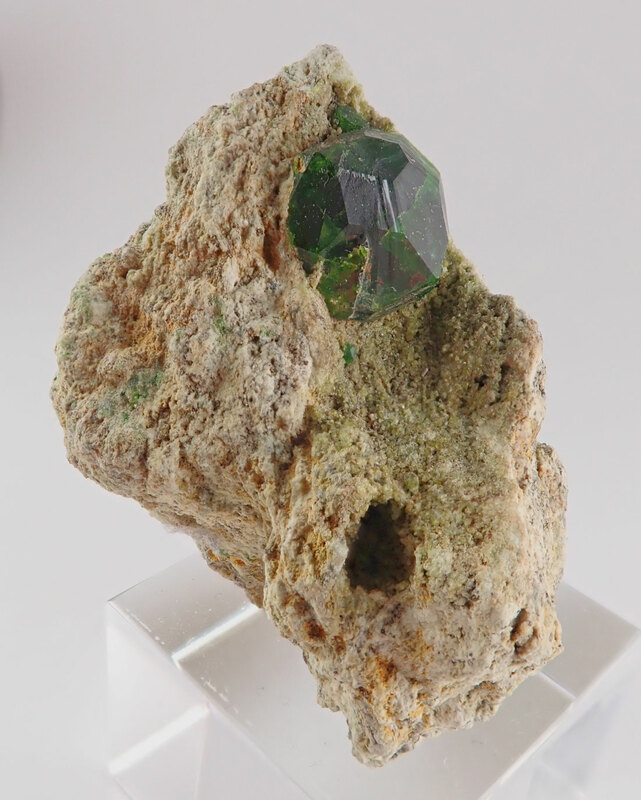 Ojuela mine, Mapimí, Durango, Mexico. Spheroidal aggregate of small Austinite crystals. It is disposed on matrix of limonite. Vey nice specimen for a very rare specie. 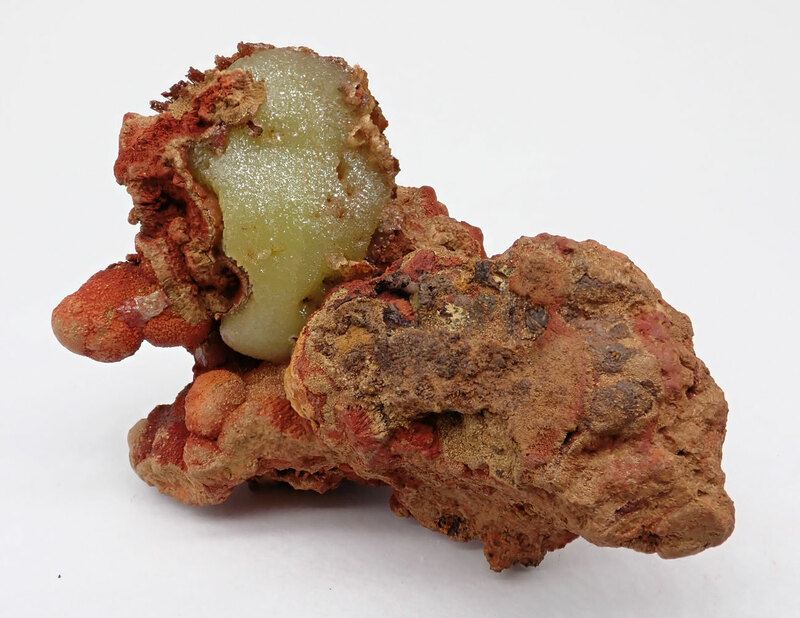 Austinite is a rare mineral in the oxidation zone of arsenic bearing deposits. In excellent condition. Watch video. 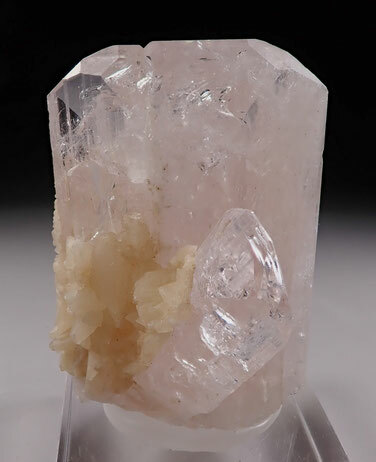 AL21- Calcite with Chalcedony. Nasik, Maharashtra, India. 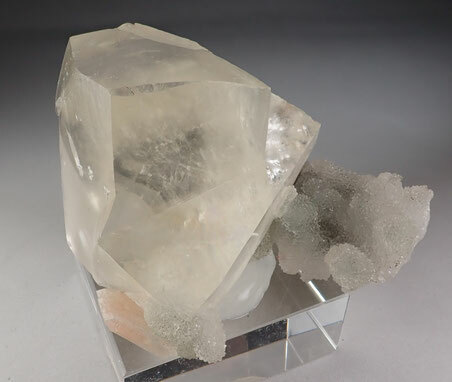 Calcite specimen composed of several transparent to translucent well formed rhombohedral crystals forming notable penetration twins and with a bit of matrix of Quartz Chalcedony. Fine mineral specimen. Quite clean of damage. Watch video. 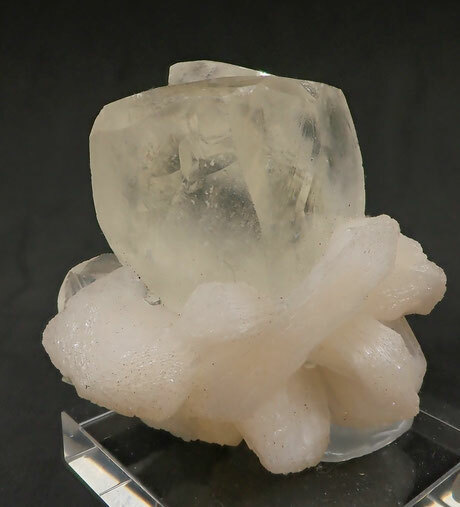 AL22- Fluorapatite. Cerro Mercado, Durango, México. A main prismatic crystal of Fluorapatite with very good transparency and nice yellow color. On a matrix of Quartz Chalcedony. Watch video. 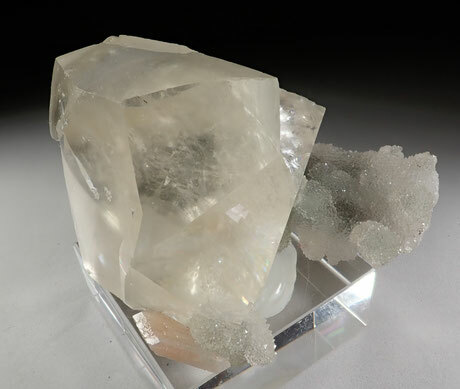 AL23- Calcite with Stilbite. Nasik, Maharashtra, India. 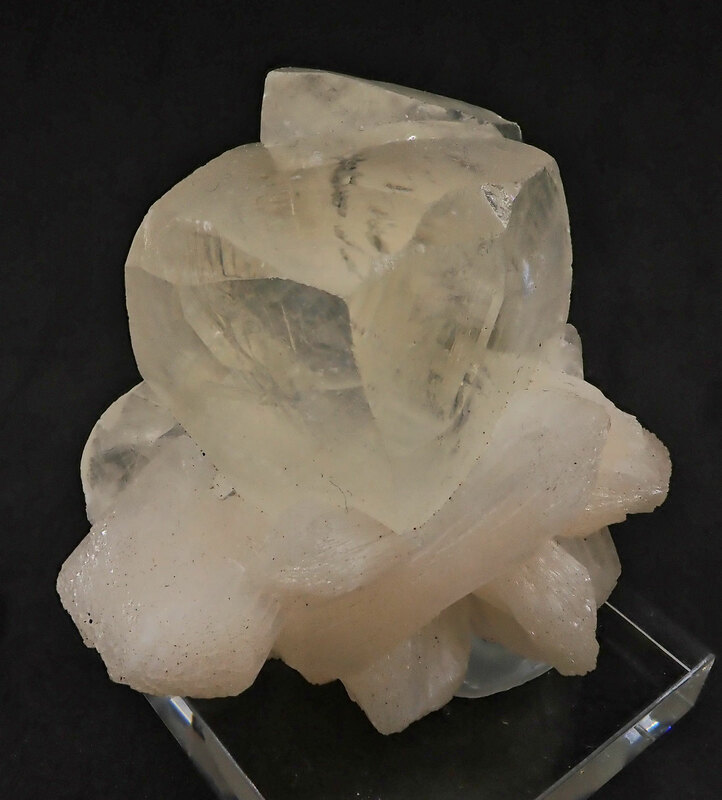 Transparent to translucent well formed rhombohedral crystals disposed on a matrix of Stilbite crystals.Very nice and aesthetic specimen. The condition is fair, minor cleavages are present at the edges. Watch video.